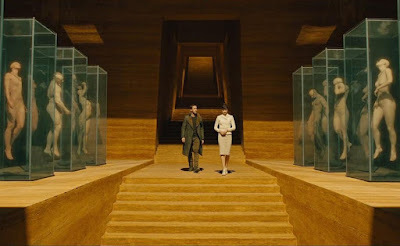 Despite the dubious gender politics, the self-important pace and the portentous hamminess of Jared Leto, it would be churlish to deny that Blade Runner 2049 provides much to enjoy and admire. There are a few genuinely eyebrow-raising surprises in the plot, which sees yet another bedraggled policeman hunting an important replicant. 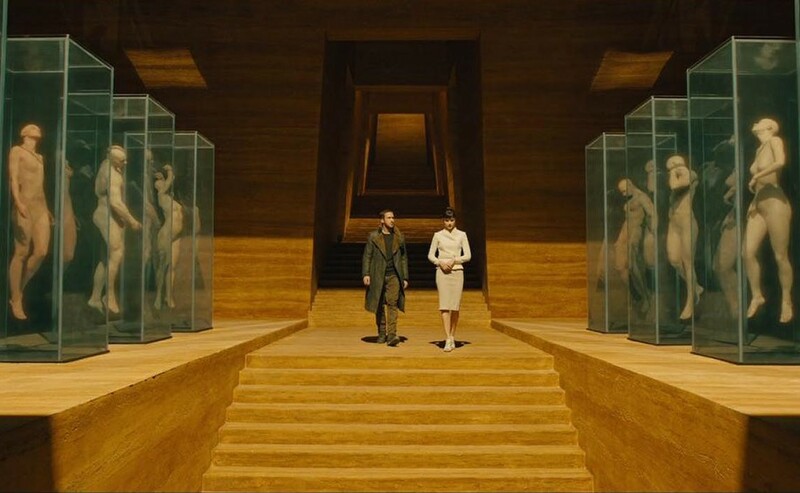 The sound design almost radiates out of the screen like a three-dimensional entity. And the various nods and winks to the original possess a power that goes beyond that of mere nostalgia. So yes, even though I'm not sure it's a sequel we needed, I would urge all fans of the Ridley Scott version to watch it. Smell comes up again much later in the story when Gosling asks a different character - and I'll try to keep this spoiler-free - to verify whether a particular object is what it appears to be. The way this character meets the request is by bringing the object to his nose and giving it a good sniff. And suddenly, one of the film's many ideas is crystallised. No matter how far technology takes us, no matter how extensively we engineer our environment, there will always be something about our natures that will remain obsessed with drawing dividing lines and with finding ways of making distinctions about what lies on either side of them. Human, or not. Real, or not. Natural, or not. The theme manifests itself each time a character recalls a blazing, smokey fire, or looks down in horror at a blood-soaked shirt, or even succumbs to an inexplicable show of tears. And although this existential question isn't handled in any way which betters that of the 1982 classic, just seeing it up on the big screen again is wonderful. I remember the garlic incident but fail to recall the other olfactory episode you refer to. I enjoyed the movie (though I agree about Leto). Loved the pummeling, assaultive music. Never saw the first version. Richpot, thanks for taking the time to leave a comment. The other incident is when Gosling takes the little animal carving to Barkhad Abdi's character. Thanks for the mini review, I'm very much looking forward to seeing the movie. The 1982 original is one of those movies I can watch and have watched several times, and that's a classic in my book :) As to the cast, I don't know what to think of Leto, I'm confused by his over-the-top image, and have yet to see him in any major role. And Gosling, I have mixed feelings about him too, it seems like his expression never changes :D as if he doesn't move a muscle in his face. Anyhow, I'm really looking forward to the movie, no matter the reviews! Zara, please let me know what you think of it when you watch it. I actually rate Gosling quite highly, although this film probably isn’t the best showcase of his talent. I noticed the scent comments as well. I’m fascinated by the original film, and this was a delight. I thought the garlic comment/cooking smell was because Gosling’s character has just heated generic prepackaged food. No experience of the scents of really cooking—only a holographic fantasy. Ah, excellent point. But then, wouldn’t he have been programmed to recognise various smells? Thanks so much for taking the time to leave a comment and for your kind words.